Selling something to an audience that’s inundated with advertisements is difficult. A company has to compete for eyeballs against a plethora of other companies and products, all of which have to try new and innovative ways for people to take notice. For General Motors, which has an all-new Chevrolet Silverado 1500 to sell, that means partnering with LEGO, the famous toy company that builds those interlocking plastic building blocks parents everywhere fear when shuffling to the bathroom at 3 a.m. 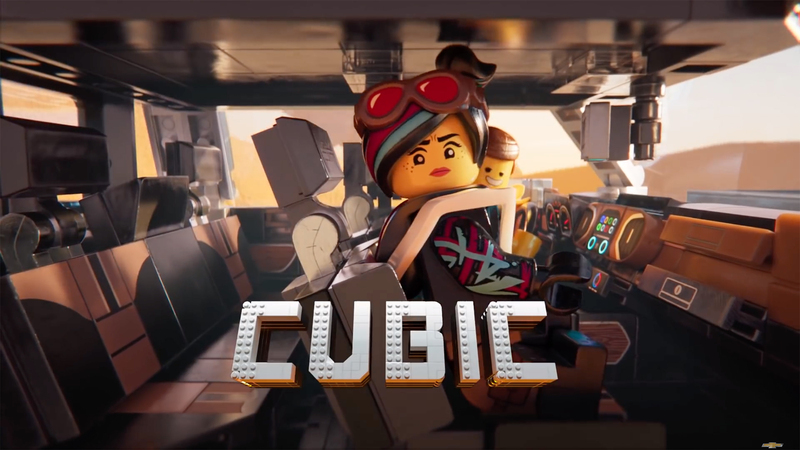 The latest ad from Chevrolet takes the stars of The LEGO Movie 2: The Second Part—Emmet Brickowski and Lucy—and pits them against the movie’s villains—LEGO Duplo invaders—as the two have to escape in a 2019 Chevrolet Silverado 1500. The ad, much like the first The LEGO Movie and the upcoming sequel, is hilariously self-aware with a booming advertising voice dishing details on the new truck while Lucy questions where the ominous, disembodied voice is coming from. The ad touches on the redesigned interior, best-in-class headroom—with a “Head Roomiest 2019″ trophy—cargo tie downs, and the truck’s available 420-horsepower V8 engine. The ad ends on a meta note with Lucy saying she doesn’t do commercials. The ad is a departure from the GM’s other advertising efforts, such as the “Real People Not Actors” ads the company is heavily criticized for showing. Earlier this month, a “Real People Not Actors” ad received tons of controversy after consumers advocates criticized it for using old reliability data to advertise its newest models. A few days after criticism for the ad started to mount against the automaker, Chevrolet decided to pull the ad and replace those ad spots with adverts for the Silverado pickup. So, instead of selling “real people” gush over various Chevrolet products, you will get to see other Silverado ads, such as one showcasing the tailgate. This isn’t the first time LEGO and Chevrolet partnered on a project. Earlier this month, the two unveiled a life-size 2019 Chevrolet Silverado 1500 Trail Boss entirely out of LEGO bricks. And if neither the new Lego or “Real People Not Actors” advertisements don’t trip your trigger, you can continue to enjoy Mahk’s harsh yet hilarious parody ads. There’s plenty to watch. Next story New vs. Old: Which Baojun Logo Do You Like Better? I like the new ads and ad campaign. They need to do something to stir excitement about the new Silvey! Why not have some fun? Maybe do a little flag waving even! Does anybody remember “And GOD made a farmer” from Ram? That was great!